Whoa… the DVD was only officially released on October 7th, but quickly checking Amazon, I see the distributor’s already run out of stock! Hopefully they’ll have it back in, soon. I had the opportunity to watch this a few months ago at a festival in New York and it was very, very good. Definitely worth it to get your hands on a copy. Hello. This DVD can be ordered directly from the filmmaker. Send inquiries to [email protected]. Incredible. Thanks for posting it. 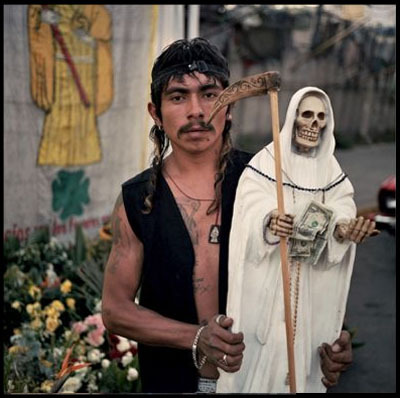 And according to Wikipedia, today is the unofficial holiday for Santa Muerte, so it seemed appropriate.